Can I keep track of reservations other than online reservations? 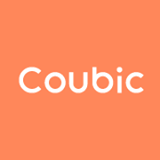 – Coubic Inc. Yes. Coubic's reservation book is designed in a way which you can manage any reservations, whether it's online or offline, such as phone call, emails, and walk-by. You can click on "Add to Reservation Book" to manage offline reservations, along with online reservations. If you are using "Event Type" reservations, the number of vacant slots available for online customers will reduce accordingly when adding offline reservations to your reservation book.